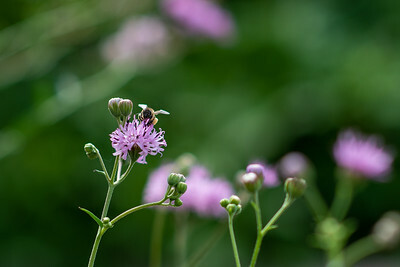 A bumble bee at the Islander ECDC Garden. 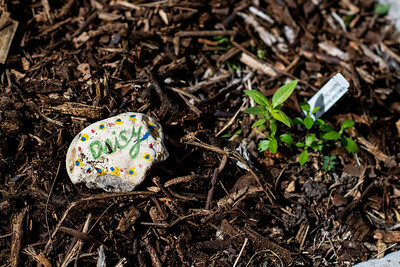 The Early Childhood Development Center elementary students decorate stones to identify plants growing in the ECDC Garden. 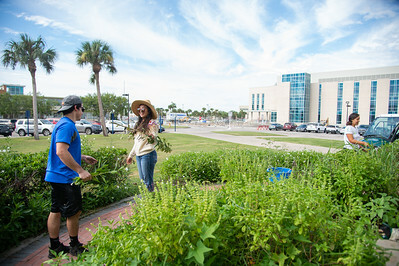 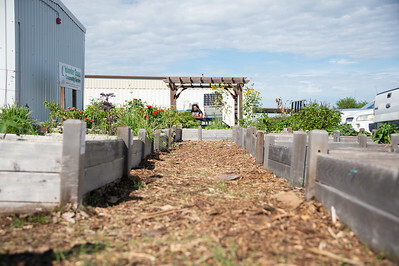 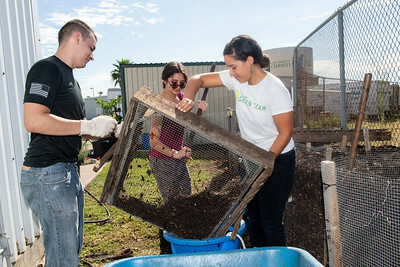 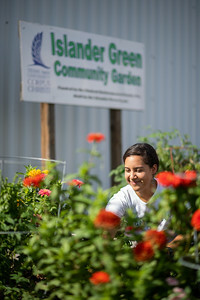 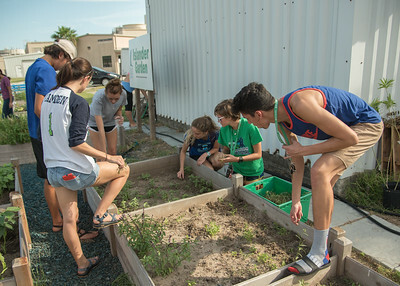 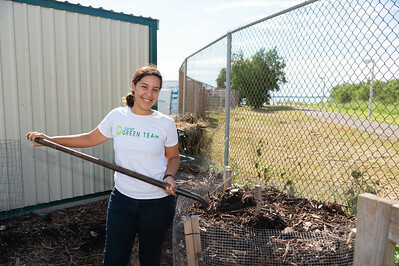 Joel Dominguez (left), Sofia Gonzalez, and Melissa Zamora volunteer at the Islander ECDC garden. 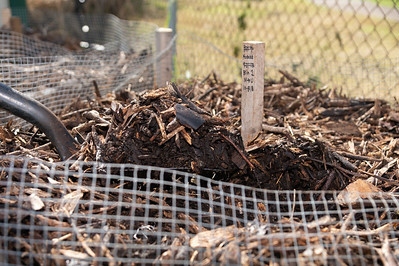 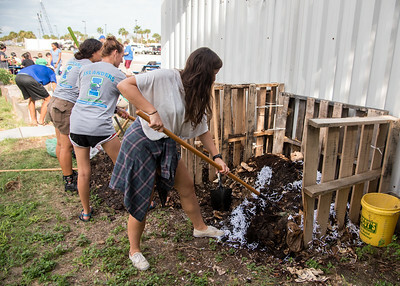 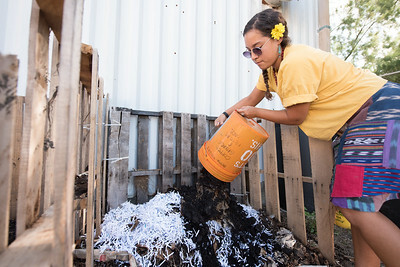 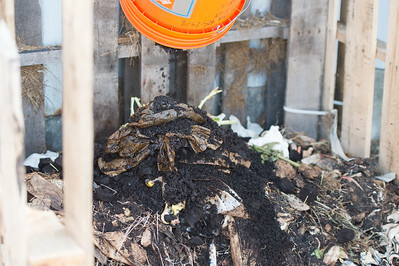 Students churning the compost piles. 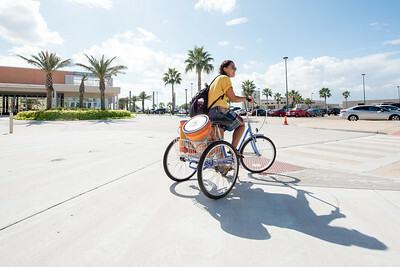 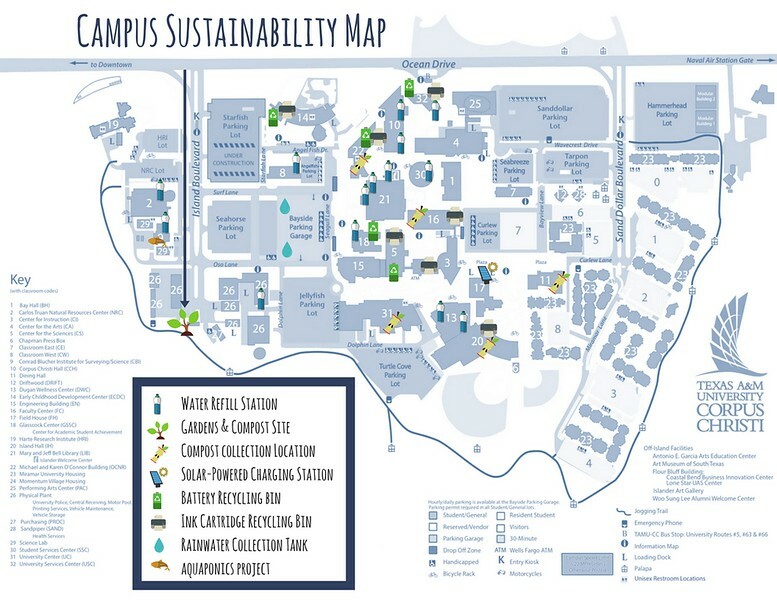 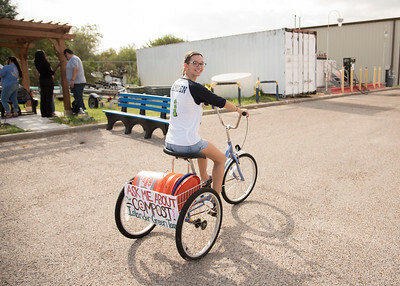 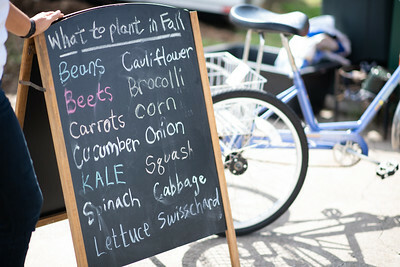 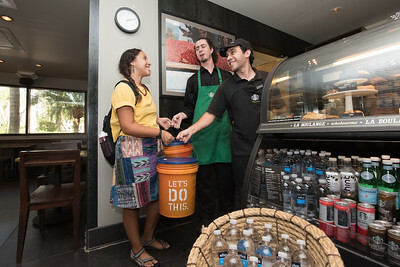 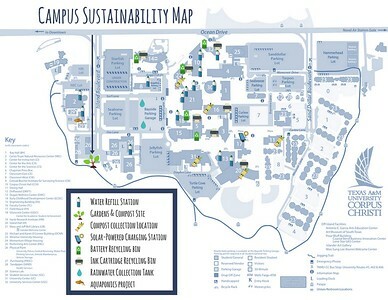 Student Maria Cherry riding the Islander Green Team bicycle. 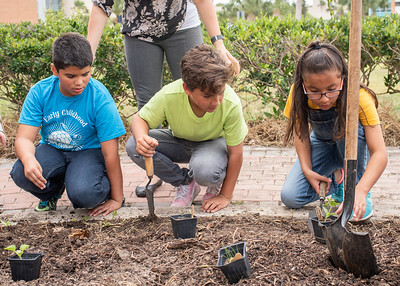 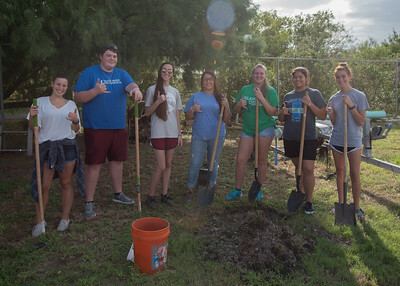 Students take a break from planting a fruit tree to take a group photo. 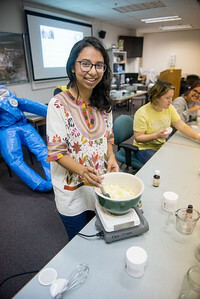 Joanna Orozco with the Islander Green Team takes part in a DIY workshop to make body scrub, bath salts, body butter and decorations from all natural ingredients. 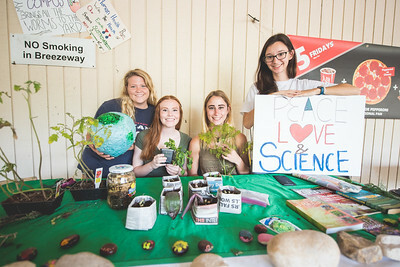 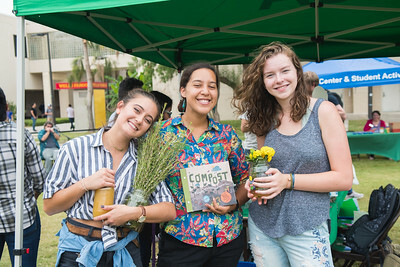 Elise Rother (left), Claire Berger, Breanna Hild, and Maria Cherry set up in the breezeway in celebration of Earth Day. 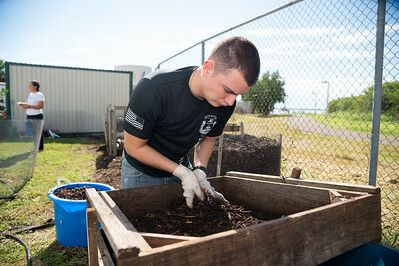 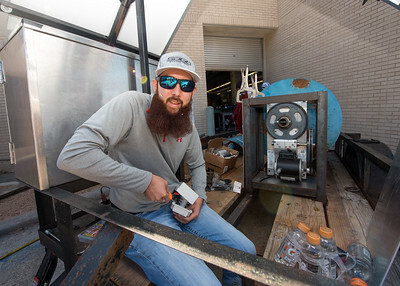 Engineering student Andres Rodriguez works on building a composter for the Islander Green Team. 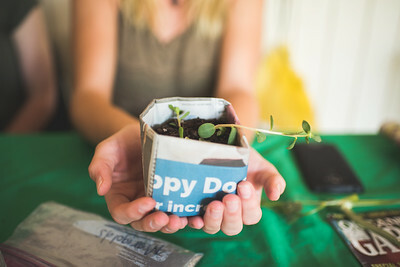 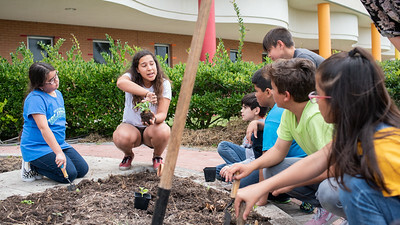 Melissa Zamora explaines to students of the ECDC on how to plant a plant.